Annuals vs Perennials: Which Should You Plant in Your Garden? If you’d like to design your own garden, you should understand the difference between annuals vs perennials. While they can both bring life and beauty to gardens, their differences are significant, so you’ll want to educate yourself before you purchase your very first seed, bulb, or small plant. Think about your favorite flower: are you picturing its beauty, color, and scent? Now think about whether it’s a perennial, annual, or biennial. Why does this information matter? The simple answer is that it’s all about the plant’s lifespan. If your goal is to grow a successful garden, it’s important to know which of your flowers are going to bloom and then die off after one growing season, and which will pop up again next year without having to be replanted. Since they both have their pros and cons, let’s discuss the details between annuals vs perennials so you can decide which are best for your garden! Perennials Definition – What Exactly Are Perennials? Let’s start by defining perennials. Technically speaking a perennial is any plant that grows for more than one season without having to be replanted. In fact, they typically grow and return every year for about three to five years. 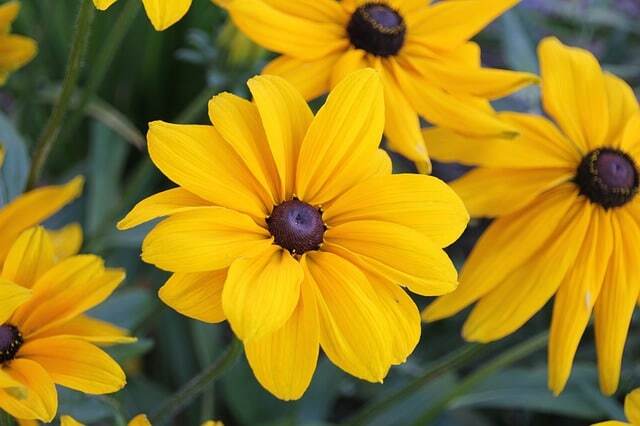 Some of the most popular perennials include Black Eyed Susans, Coral Bells, Hosta, Daylilies, Yarrow, Roses, Peonies, and Daisies. People love perennials vs annuals for the simple fact that it makes gardening easier. Those who want to enjoy a beautiful garden but don’t have very much time to devote to their gardens should opt for perennials because they can be planted once, and then enjoyed for at least two years. This means you won’t need to worry about buying new seeds or small plants from the garden center every Spring. By planting perennials vs annuals, you’re investing in the future state of your garden. Planting daisies in Spring of 2019, for instance, will ensure that you’ll see that same plant rebloom again in Spring of 2020. Perennial flowers and plants also have a strong reputation for being low-maintenance. Every gardening beginner should start out with low-maintenance perennials because they won’t require a lot of work that other plants do, such as pruning and regular fertilizing. Annuals vs Perennials: What are Annual Plants? You now know quite a bit about perennials and their attributes, but what are annual plants? Annuals plants are those that only live for one growing season. You plant them in your garden via seeds or small plants and they’ll grow, bloom, seed, and then die all in one season. If you want to see the same annual plants in your garden next year, you’ll have to purchase more seeds or small plants from the garden center, and then plant them again at the appropriate time. 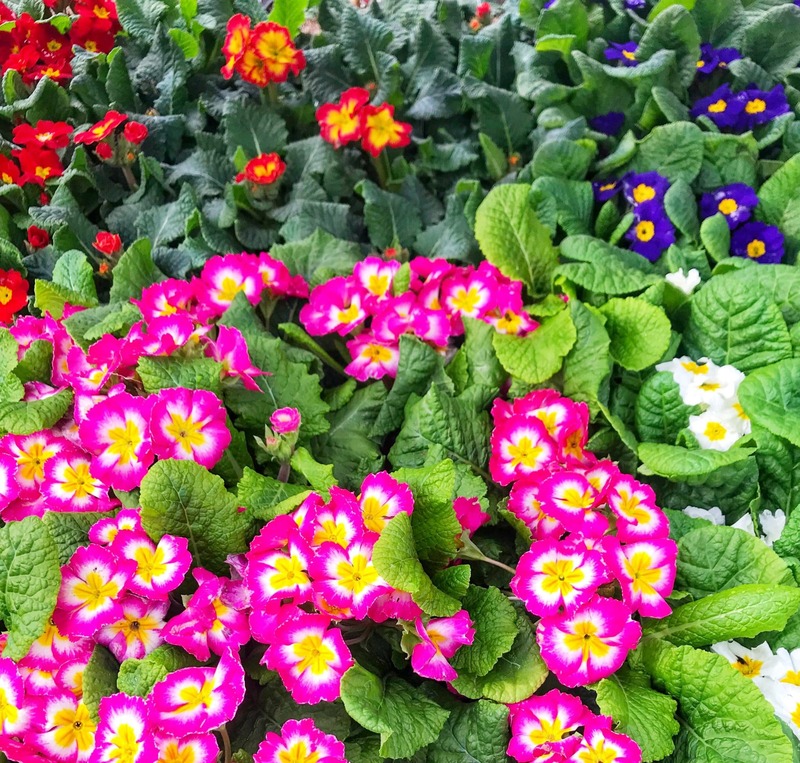 This might leave you wondering why people choose to grow annual plants or annual flowers in their garden instead of perennials, which rebloom every year for three to five years straight. The answer is simple: when it comes to annuals vs perennials, annuals provide vibrant, rich color and they are also long-blooming. Plus, some of the most beautiful flowers and plants are annuals! It’s why people put in the extra time, money, and work it takes to grow them. Annuals can also be less expensive than perennials when bought at garden nurseries. 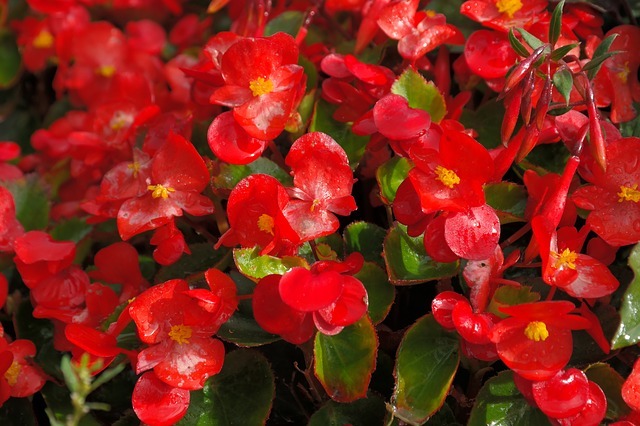 Annuals, on the other hand, are famous for their bright, colorful and long-lasting blooms. A few beloved annuals include geraniums, begonias, marigolds, sunflowers, poppies, zinnias, and celosia spicata. 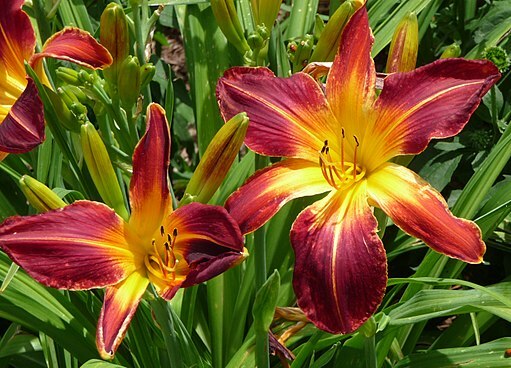 They’re famous for their rich colors and ability to bloom from Spring through Fall. If you love to spend time out in your garden, then by all means, opt for annuals vs perennials! You no know the difference between perennials and annuals, but which is best for your garden? You’ll have to consider a few things in your perennials vs. annuals decision. Consider the following things: do you want a super low-maintenance garden? Do you want to replant your favorite flowers every year? Do you need to be very frugal with how much money you spend on seeds and small plants? Do you enjoy tending to your garden: pruning, deadheading, fertilizing? Your answers to these questions will help you decide whether you should plant mostly perennial plants or annuals plants in your yard. Remember, while perennials will come back for more than one growing season, they don’t bloom as long as annuals do. They usually bloom for a certain number of weeks during their growing season and then they go dormant for the rest of the year. Perennials do, however, spread their seeds so you’ll eventually get more for the money you spend. If a low-maintenance garden is what you want, opt for perennials vs annuals. Perennials are known for their low-maintenance qualities and ability to sprout back up year after year. Since they can grow for up to five growing seasons, you’ll spend less time planting and less money on seeds. That’s time and money saved. (Check out this list of 18 Low-maintenance Perennials). 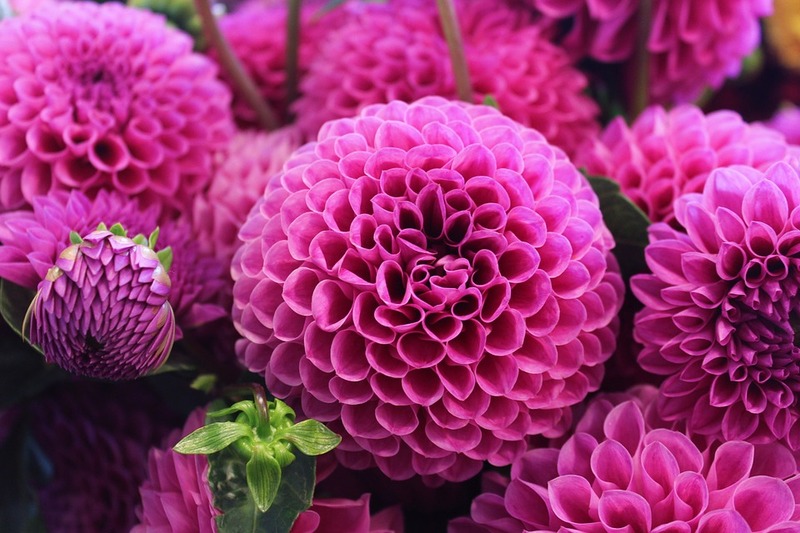 If you crave rich color, texture, and blooms from flowers that can bloom throughout Spring, Summer, and even Fall, then go for annuals. Of course, many gardeners plant annuals and perennials alongside each other to get the most out of their garden. If you have perennials that have stopped blooming, planting annual plants next to those perennials can make up for those lost blooms. You’ll be getting the best of both worlds if you put a little time into planning and designing your garden! If a perennials-only garden is what you decide you want, aim to plant perennials that have different blooming times. This will help ensure that you have blooms and foliage in your garden for several seasons out of the year.